Established in 10th of July 2015, Hafiz Rashid & Co ("HR") is a firm registered with the Malaysian Institute of Accountants, established under the Accountants Act, 1967 located in Terengganu Darul Iman and branch office in Selangor Darul Ehsan. HR function is to assist entrepreneurs to operate business efficiently and will present client with the help and professional services to address your problems. The logo symbolizes a bulb that grows a twig. The bulb means a smart idea and thought, of MINDA TIJARAH, growing branches of business that would eventually produce the leaves of akhlak and fruit characteristic as a profit in line with sharia in turn benefit the whole of mankind in general. The red soil is the core of the mahmudah nature which is the primary basis for a blessed business. 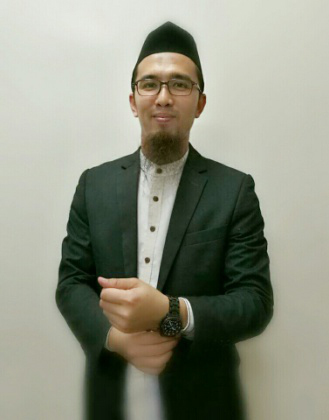 TUAN HAJI MUHAMMAD HAFIZ BIN A RASHID is the founder and Managing Director of a corporate service and consulting firm known as Hafiz Rashid & Co. Using the tagline of "MINDA TIJARAH Rakan Perniagaan Anda" to help entrepreneurs and those who are interested in doing business to improve the quality of business according to the Shari'a to seek the pleasure of GOD. Hafiz Rashid holds a Degree in Accounting (honors) from the International Islamic University. He also earned recognition as a Chartered Accountant (CA), Certified Trainer and Certified Corporate Strategic Advisory. Hafiz Rashid started his career as an audit assistant in an audit firm. Later, he served as Executive position in Accounting and Corporate Planning Division in public listed company involved in the oil and gas industry for 5 years. Before venturing into business, Hafiz Rashid once led in an oil and gas industry company for 5 years as Chief Financial Officer. In addition, he has served as an Executive Director of several companies as a company advisor. Armed with more than a decade of experience in the corporate sector, Hafiz Rashid is keen to engage in the business sector and want to share experiences with entrepreneurs in order to excel.